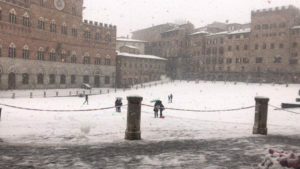 While a storm watch brought continuous rain to Florence on January 30, 2019, the day brought a surprise accumulation of snow in Siena’s Piazza del Campo, throughout the city and in the Tuscan countryside. According to Italian tradition, the last two days of January, known as the giorni della merla (days of the blackbird) are the coldest of the year. 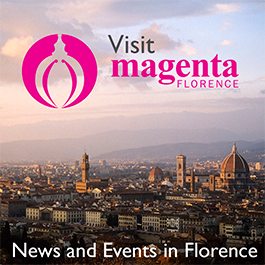 To see a slide show of the snow scenes, visit Florence’s La Repubblica news site.